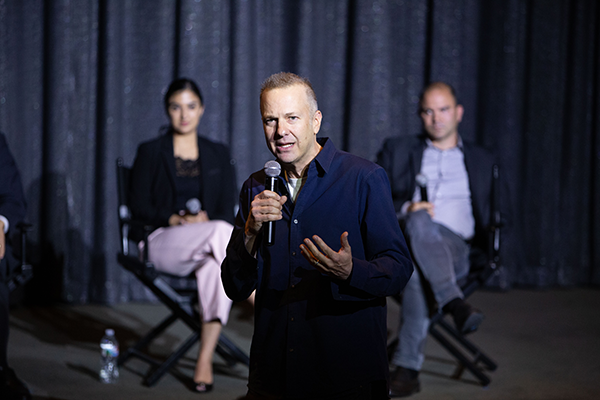 Nearly 200 people attended "New Momentum for Saner Nuclear Policy," an in-depth panel discussion with activists, actors and experts on Monday, March 18 at the SilverScreen Theater at the Pacific Design Center in Hollywood. 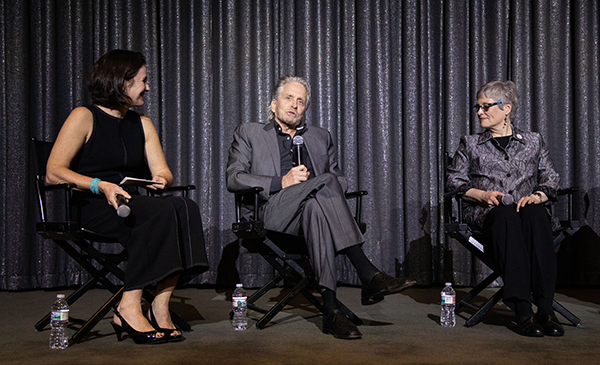 The event featured award-winning actor Michael Douglas, Rep. Ted Lieu (D-CA), former Deputy National Security Advisor Ben Rhodes, Beyond the Bomb field organizer Yasmeen Silva, and Bulletin of the Atomic Scientists advisor Kennette Benedict. The event, co-hosted by global security foundation Ploughshares Fund and Hollywood, Health & Society, emphasized the growing momentum building for saner nuclear policy. As Yasmeen Silva said at the event: “We want to see a No First Use policy, renegotiation of New START, and reinvestment in policies that make us safer.” Silva and Beyond the Bomb have successfully organized to push California to formally support the Treaty on the Prohibition of Nuclear Weapons and federal No First Use legislation. Rep. Lieu is spearheading legislative efforts to restrict the US president's unchecked ability to launch a nuclear first strike without congressional approval. He, along with Sen. Edward Markey (D-MA), introduced the Restricting First Use of Nuclear Weapons Act to the House of Representatives and Senate, respectively. 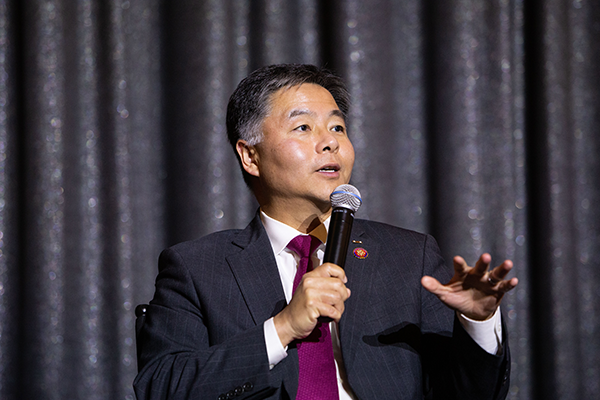 "There's no way that the framers [of the US Constitution] would allow one person to launch thousands of nuclear weapons that can kill hundreds of millions of people, and not call that war," said Rep. Lieu on the reasoning behind implementing his legislation. The panel also explored how the entertainment industry influencers can take a leading role on the issue: "Why have [efforts to stop] climate change moved so much? A picture is worth a thousand words," said Michael Douglas on the importance of depicting crucial issues in mass media. Prominent television writers, including David Grae of Madam Secretary, Sam Shaw and Lila Byock of Castle Rock, and Paul Redford of The West Wing, were also in attendance. They discussed their experiences incorporating political and nuclear weapons issues into their work. We are proud to have hosted this special event with Hollywood, Health & Society. 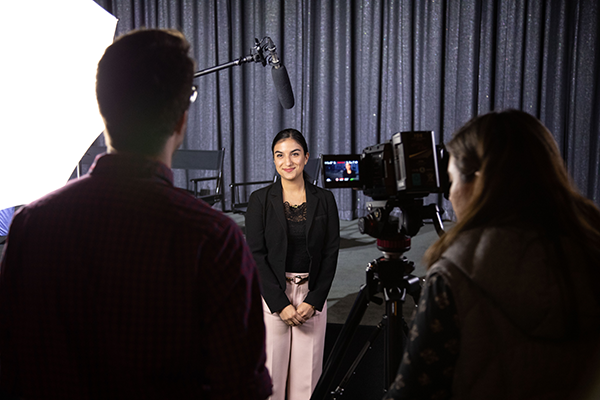 Through the University of Southern California, we funded their work on the recent season finale of Madam Secretary, which depicted a nuclear exchange between the United States and Russia. This episode, viewed by over 6 million people in the United States, is a crucial part of efforts to foster and continue dialogue about the nuclear threats we face. Want to attend our next event? Stay up to date on future events, and the latest nuclear weapons issues and analysis from Ploughshares Fund. Learn how you can help elevate peace and security worldwide. Click here to read our email policy. Read about #NukesofHollywood and the new momentum for saner #nuclear policy in the US.